I’m a fan of (almost all) forms of fishing. (Except fly fishing–it’s too much like work.) My favorite fishing results in an edible catch. Sure, it’s fun to haul in a 100+ pound tarpon, but you’ll still have to grill a burger for dinner when you get home. The tastiest and easiest fishing of all? Crabbing. All you need is some bait (bony, raw chicken parts, stinky fish like mullet, leftover heads from fish cleaning), sturdy string, and a nearby body of water. 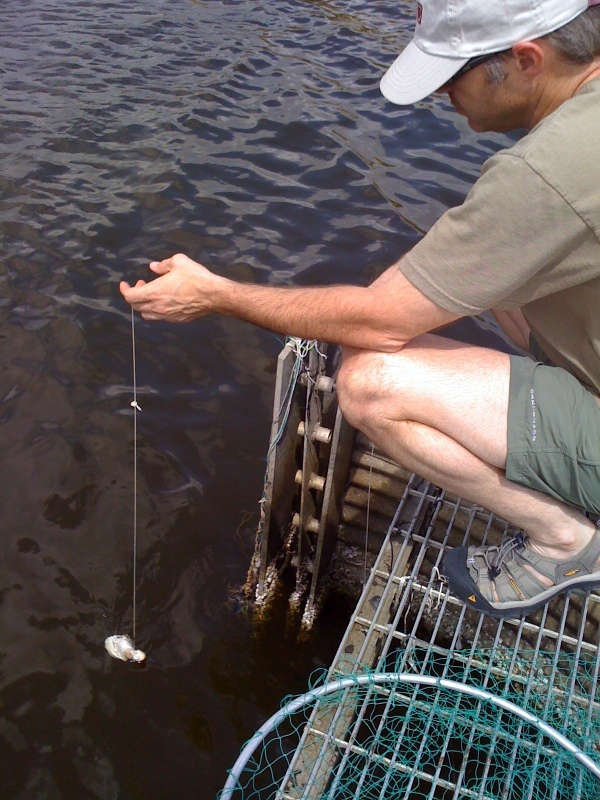 Tie bait to string, drop the bait in the water, and wait: the blue crabs will do the rest. All you have to do is pull up the string slowly–the crab will hold on tight to his easy meal, and you can shake him right into your waiting net or bucket. Warm spring weather is here; get yourself a roll of string and a pound of chicken necks and find some water. Dinner awaits! Mais dats a good time yeah.